The use of stop and search has reduced in recent years in London, but there have been recent calls to increase its use. Matteo Tiratelli argues that a new study finds little, if any evidence, to suggest increased stop and search can reduce levels of violent crime. There are many different angles to approach stop and search form. Reports have shown a startling disparity in the likelihood of black and Asian men being stopped and searched. There have also been investigations into its impact on communities, on trust in the police and its possible role in the 2011 Riots. But, it’s rare to see people explicitly assess whether changes in the level of stop and search deter people from committing crimes. This is the implicit, ‘common-sense’ idea that lies behind recent attempts to use the overall level of stop and search as a policy tool to reduce crime. But, despite a feeling amongst many officers and policy-makers that ‘it must have an effect’, there’s not much evidence to base these policies on. Our study aimed to test this ‘common-sense’ assumption. Using ten years of Metropolitan Police data (2004-2014), grouped in months and weeks within each London Borough, we tested a large number of possible associations between stop and search under different powers and different crime types. The central finding is that the effect of stop and search on crime is marginal, at best. Although you can never prove a null hypothesis, there’s precious little evidence of a meaningful effect. We find some associations, particularly suggesting that stop and search might be reducing the number of recorded drug offences, but the overall picture is of tiny and inconsistent effects. Given recent trends in London, we were particularly interested in the connection between stop and search and violent crime. Looking initially at non-domestic violent crime we found no real evidence of an effect. The tiny association between section 1 and section 47 (weapon) searches showed that a 10% increase in stop and search would lead to a 0.01% decline in crime, but this effect disappeared when we looked across months and other search powers. When we tested the same models using ambulance incident data for calls related to ‘stab/shot/weapon wounds’, we found no significant effects whatsoever. This all suggests that, if there is any association between the overall level of stop and search and crime, it is likely to be at the outer margins of social and statistical significance. This finding echoes earlier studies. A Home Office report into the impact of Operation BLUNT 2 (a knife crime initiative involving a large increase in section 60 searches in some Metropolitan Police borough) found no effects. There were similar findings from a variety of other studies looking at New York, London and Chicago, all of which we describe in our paper. If this is the evidence base for Sadiq Khan’s policy proposals, then it’s not a strong one. 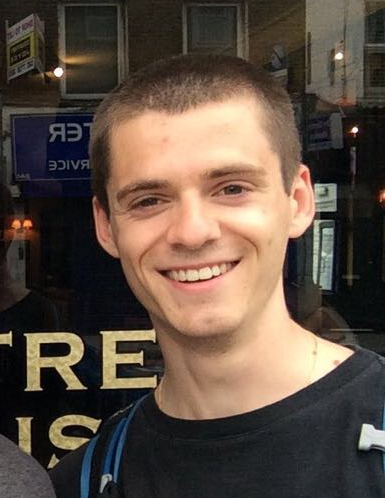 Matteo Tiratelli is a PhD candidate at the University of Manchester researching the changing practice of rioting in Britain, 1800 to 1939. His broader interests are in power, protest and the state. He also works for the Labour MP, Marsha de Cordova.